I've been doing a bit of rationalising of my wargames arsenal lately and the time has come to have a clear out of stuff that hasn't seen the light of day for a looong time. I've made a decision to concentrate solely on 28mm or bigger figures, mainly because of the vast range and ease of painting compared to their more diminutive cousins. As I get older those 15 and 20mm figures just seem to get smaller. 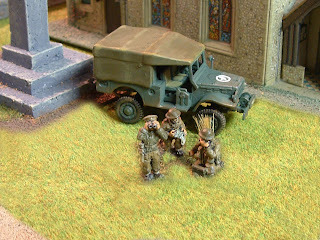 Sadly I've had to part with some old friends in the form of my 1/72nd scale WW2 odds 'n' ends. It's a pretty random mix of whatever kits or figures took my fancy at the time and is loosely based for gaming Rapid Fire. 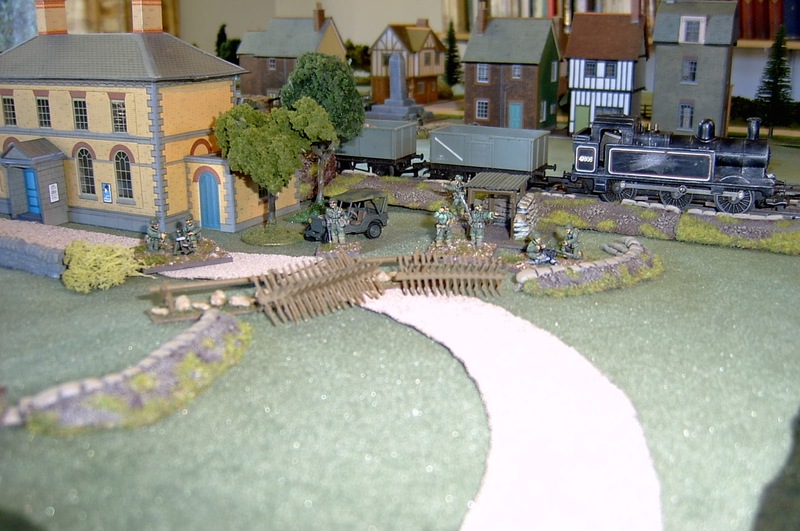 At the time we were rather taken with these rules and my Shermans and Churchills and their 'P.B.I' mates bore the brunt of many a fierce encounter in all sorts of engagements from Beach landings, break-outs, bocage busting and cat & mouse tussles with the Wehrmacht's Panzer's in countless bombed out villages. The rules are fairly straight forward and the games were always great fun and hark back to the nostalgic days of Charles Grant's 'Battlegames'. 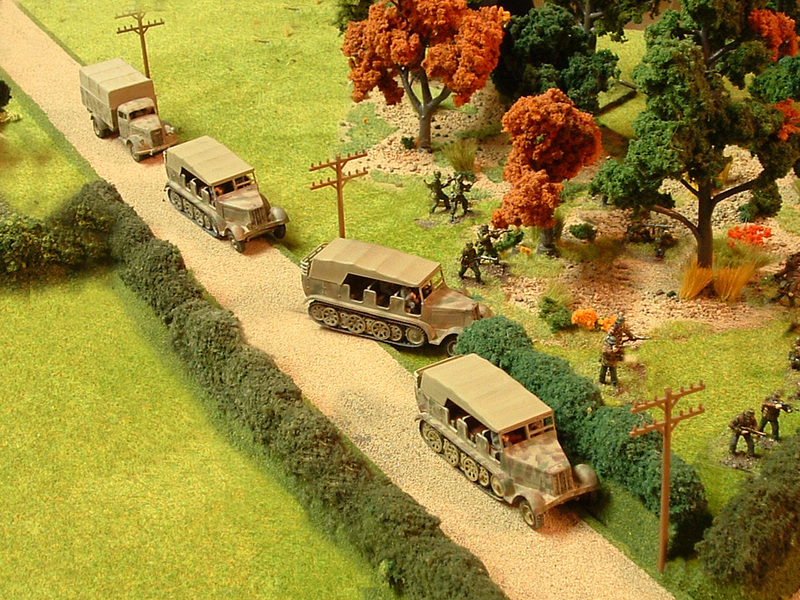 The new 'Bolt Action' rules appeal to me now because the games can be fought on a dinner table and the out-lay in figures is relatively small plus the games look superb in 28mm. However I couldn't let my battle seasoned 20mm veterans pass into oblivion without sharing a few pics of some of their heroic exploits. Exit to the inspiring strains of Vera Lynn singing "We'll meet again....."
Parting is such sweet sorry, particularly when they look this good; but more room for new shiny models eh? Some great looking pictures. Have you got a buyer for your collection? I have them listed for sale on Trademe so I'll see how they go or dont as the case may be. 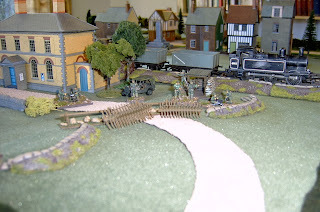 I can fondly remember knee crunching sessions with Airfix figures and models on the lounge floor with a blanket over some books and those wonderful cardboard railway modeller houses to represent Northwest Europe. Usually fought till the last man standing wins. Some great looking kit there Gav, shame to see them go, but I certainly concur on the scale thing... Brett just popped round today and left me his copy of Bolt Action for me to peruse... no doubt I'll get all enthused to have a go ai it! We've had a trial game using WW1 figs and they appear to work a treat. 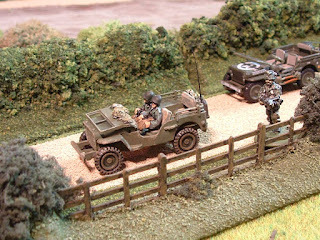 The pin markers are clever...clock up too many and your squaddies soon loose their firepower. On the surface simple rules but lots of clever stuff imbedded in them. 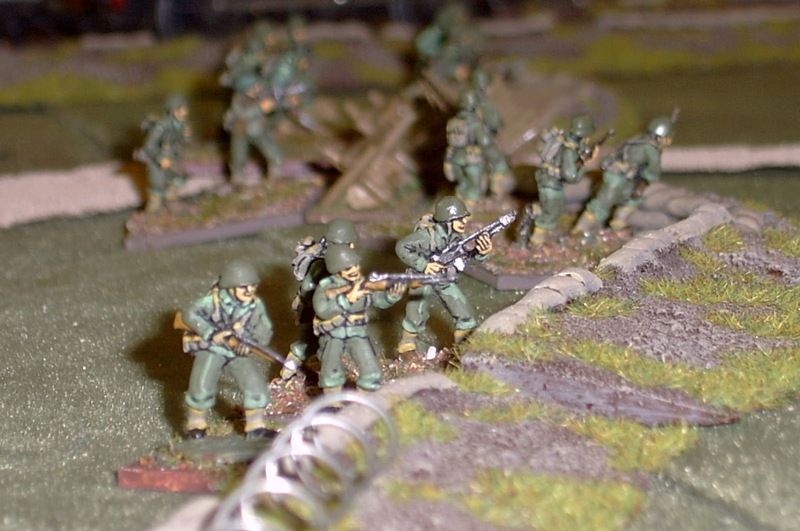 I'm starting on some Imperial Japanese and my mate Dave's doing Chindits so once they're painted look out for a post on a Bolt Action jungle game. You're obviously as big a sucker for shiny new rules a we are to judge by the plethora of projects you have on the go. Thats what keeps it fun.